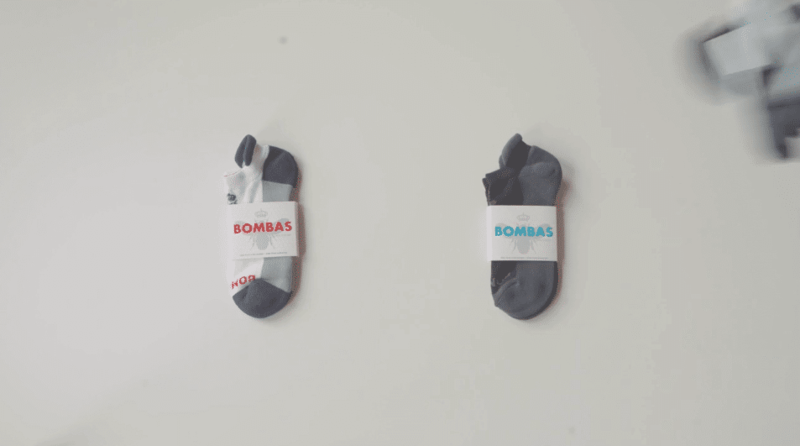 For today’s Branding Video Spotlight, I’d like to take a look at an excellent video from Bombas. They not only made socks interesting, they made them inspiring, which means anything can be inspiring. Remember that! Ok, so let’s unpack this beauty further, shall we? It immediately says what it’s about. It tells a relatable story about two dudes (turned heroes). 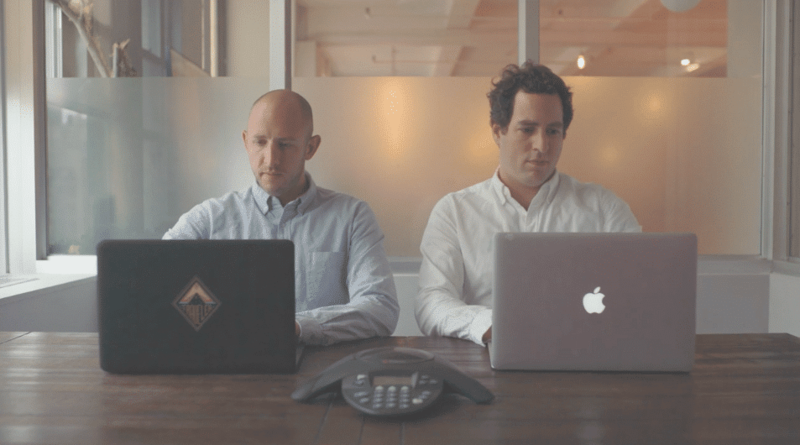 => What’s key about this story is that the target audience can immediately relate to these two guys and their vision to start a business that will make a difference. It takes little effort to get a feel for the down-to-earth personalities of these two. They made themselves visible. They tell an intimate, relatable story in an authentic and entertaining way. All key stuff. Want to learn more about making your brand authentic and visible? Be sure to check out these posts: 7 Ways to Make Your Brand Authentic and 3 Simple + Big Ways To Boost Your Brand. It describes their why-this-business-must-exist moment. 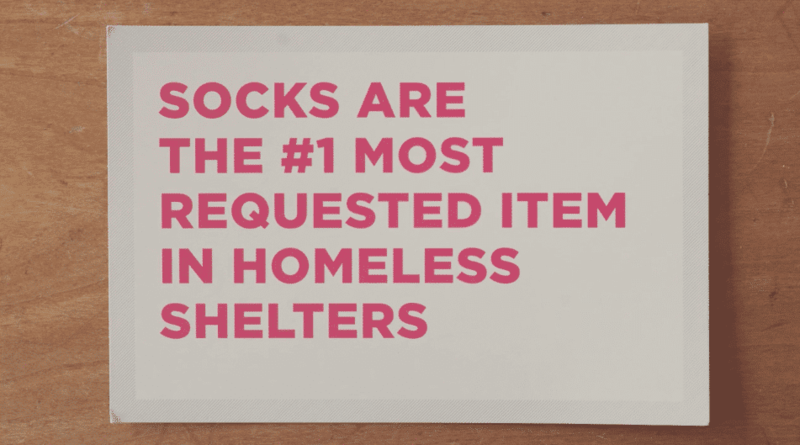 => Learning on Facebook that Socks are the #1 requested clothing item in homeless shelters caused one of the founders, David Heath, to pause and ask himself why socks are so heavily requested. And their journey begins. It tells the story of not enough socks. 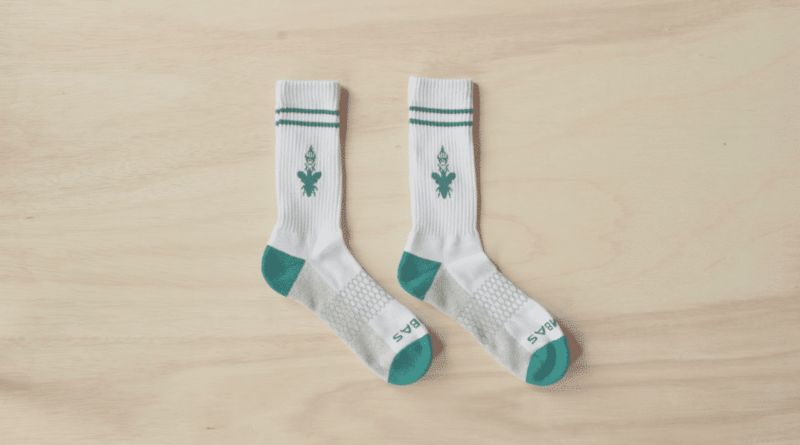 => Insightful consideration and research helped David and co-founder Randy Goldberg learn more about the little-known need for socks. You can’t donate used socks. Homeless people often don’t have a car or a bike, so they walk everywhere. Shoes are seldom removed for concerns of theft. In short, socks become worn to shreds. These factors combined can lead to major foot issues. The mission is clear: Socks are needed. Want to learn more about how to best tell your brand’s story? Be sure to read 3 Ways To Bring Your Brand’s Personality To Life. It explains the big idea around their brand’s story. 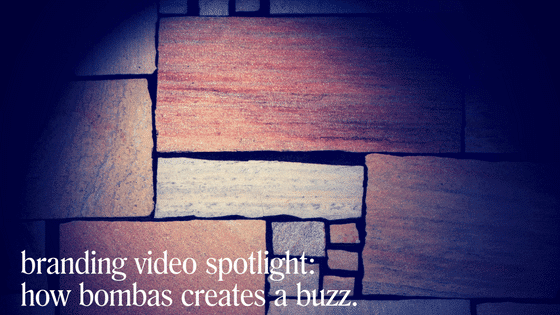 => They chose the name Bombas after the Latin word for bumblebee. Randy explains the inspiration behind their name, “Bees live in a hive. They work together. They’re small. But their combined actions have a big impact, which is why we made our mantra “Bee Better.” Perfect! How can you create your own perfect name and tagline? To learn more, be sure to read Brand Development – How to Name your Business and Why Naming Your Business Is Like Marriage. It announces their impact model. 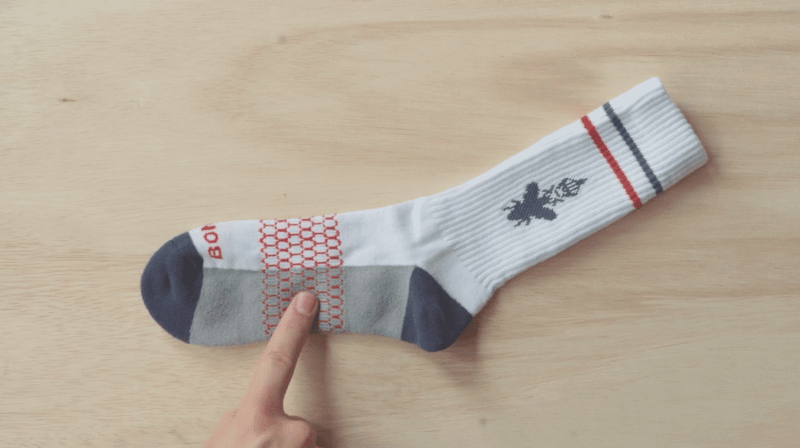 => The origin of this brilliant 1-for-1 concept comes from Tom’s – 1 pair of socks purchased = 1 pair of socks donated. It talks about the unique features of their product. => Using a simple explanation and clear visuals they demonstrate the how’s and why’s of their product development. Socks shouldn’t have an annoying seam. Socks shouldn’t fall down. Socks should provide support in the right place. 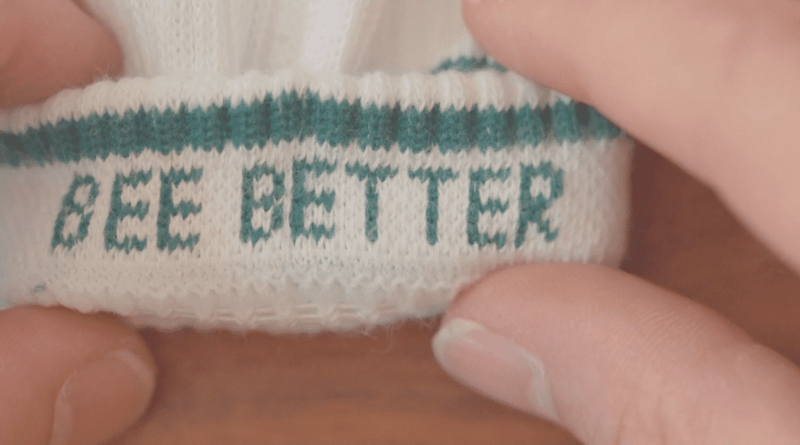 Watch the video and you find yourself saying, “True that!” Again, they made socks interesting. Read more about moving forward with your unique offering in The Breakthrough Brand Blueprint. 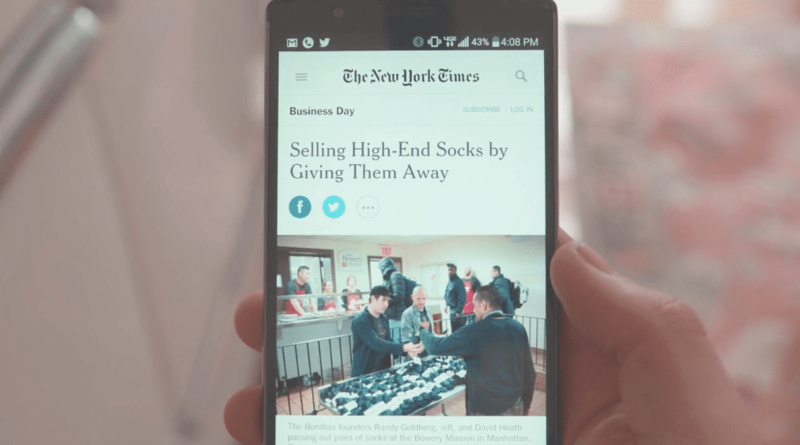 => They don’t linger here but rather efficiently and successfully let us know, as evidenced by headlines from Shark Tank, the Huffington Post, the New York Times and Indiegogo, that many others have already supported their cause, that they’re not just a business but also a movement. Read more about how to create a movement in this previous blog post 20 Examples of How You Can Create a Movement For Your Brand. Accomplished: Reached goal in just 2.5 years! => They let their community, the hive, know that they far surpassed their initial vision because “[the people] cared about something small but important.” That is, the idea to donate one pair of socks for every pair sold was successful because people liked the idea of giving back. And that feeling spread. Big time. Are you an impact entrepreneur, a giver with a vision to share but not sure how to get started? Check out Are you Shying Away From the Limelight? The Impact Entrepreneur’s Journey. And now you can understand why this brand video receives an A+ in my book. To read more about brand videos, check out 15 Key Elements to Create a Brand Identity Video and Wow Your Crowd. And let us know about brand videos that resonate with you by joining our conversation below.